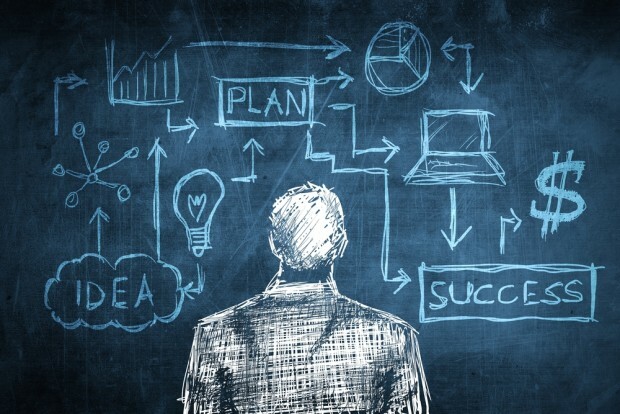 ProShops Blog | Do You Really Need A Business Plan? Starting a business was the last thing on Sean Hackney’s mind when he sat down to write a business plan. Hoping to persuade a soft drink company to hire him, Hackney scripted a plan for taking on his former employer, Red Bull North America Inc. But when he showed it to his corporate attorney father and former Red Bull managing director, “they said, ‘Don’t send this to Coke or Pepsi. Start the business, and we’ll start it with you,'” he recalls. Clemson University entrepreneurship professor William B. Gartner believes business plans are essential. And the SBA notes on its website: “The importance of a comprehensive, thoughtful business plan cannot be over-emphasized.” But lately, questions have arisen. In 2006, William Bygrave, a professor emeritus at Babson College and longtime entrepreneurship researcher, studied several years’ worth of Babson graduates to find out how much better those who started businesses with a formal, written plan did than those who didn’t. “We can’t find any difference,”?he admits. In other words, Bygrave and his team found that entrepreneurs who began with formal plans had no greater success than those who started without them. Gartner’s earlier concerns about the necessity of business plans, he says, were that they were “all talk. Our research shows that business plans are all about walking the walk. People who write business plans also do more stuff.” And doing more stuff, such as researching markets and preparing projections, increases the chances an entrepreneur will follow through. For his part, Bygrave doesn’t think his research says business plans are a waste of time. “We’re saying that writing a business plan ahead of time, before you open your doors for business, does not appear to help the performance of the business subsequently,” he explains. And a wide gulf separates having a formal written plan and having no plan at all. “Every business has to start with a plan,” says Bygrave, whether it’s a mental construction never committed to paper or a more advanced description jotted down on the back of an envelope. Sceptics and fans of business plans agree on one point: Securing funding almost always requires a formal plan. Companies funded by friends and family may not need a plan, Bygrave says, but if you go to venture capitalists, commercial banks, government-backed lenders and most angel investors, you will need a business plan. As tools such as spreadsheets and plan writing software have grown in importance, some critics say business plans have become overstuffed with complex financials that are often backed up by little more than guesswork. “[These tools have] made it easier to produce a business plan,” says Bygrave. “But they’ve produced page after page of financials that basically came out of thin air.” As a result, investors today want fewer and better-documented financials. “No one’s impressed by spreadsheets,” agrees Gartner. “[It’s] the action behind the spreadsheets.” By that, he means investors want to see that an entrepreneur has actually examined the market for a product or service, identified potential customers, assembled a capable team, devised a business model and more. While investors want to see action, they don’t want to work for it. A plan today is more likely to be a modest deck of slick, colourful presentation slides than a thick stack of white paper. Digital slides are easier to distribute to a dispersed audience via e-mail and to present to large groups on an overhead projector. Hackney’s experience writing the plan for Roaring Lion convinced him of both the benefits and limitations of business planning. Simply writing a plan helped push him to start a business when he had no intention of doing so. But the plan wasn’t nearly as effective when it came to identifying and quantifying the risks and opportunities his company would face. One problem arose when it became apparent he had overestimated the business’s revenue potential by about 500 percent. His company’s annual sales are nothing to sneeze at, but they are far less than Hackney expected in his plan. Among other missteps, he underestimated the actual selling price of the company’s products. The economic appeal to customers is still strong, but it’s not as strong as he’d hoped. Perhaps most important, his plan didn’t recognise the amount of financial capital it would require to grow the company, which has made it difficult for him to reach those early sales forecasts.